Music is an important part of Ear Hustle, and there are many talented musicians in the San Quentin community. Listeners responded so enthusiastically to the music in season one, we’ve highlighted a few of the songs and musicians who performed them, in this bonus episode – just in time for the holidays. “Trying to Carrying On” was written by Richie Morris and performed by Richie Morris, Dwight Krizman and Charlie Spencer of Quentin Blue. “Darn that Dream” was performed by Lee Jaspar (aka Matthew Lee Jasper) (original song composed by Jimmy Van Heusen with lyrics by Eddie DeLange). “Worth It” was written and performed by Jovon aka Scoob Stacks aka Novoj Mills. “Jingle Bell Rock San Quentin” was written by Antwan Williams and performed by Antwan Williams, AJ aka Amador Gonzales and Maserati-E aka Eric Abercrombie. 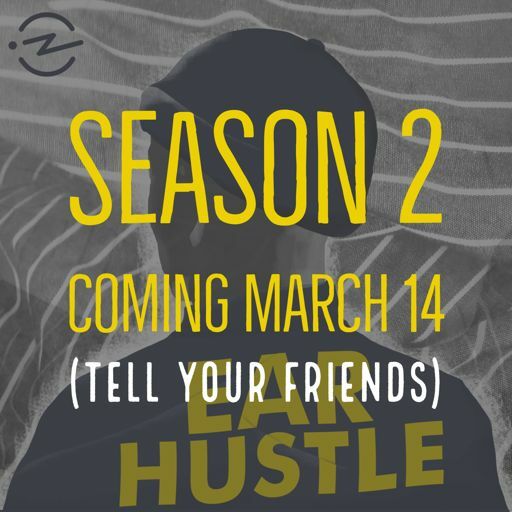 Ear Hustle is produced by Nigel Poor, Antwan Williams and Earlonne Woods with consulting editor Curtis Fox, outside production advisor Pat Mesiti-Miller and executive producer Julie Shapiro. Find out more about the show at earhustlesq.com, and follow us on Instagram, Twitter and Facebook @earhustlesq. Ear Hustle is a proud member of Radiotopia, from PRX. Happy holidays, thanks for listening, and stay tuned for season two, coming next March!